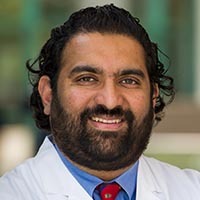 Understanding how tumors respond to radiation has been a lifelong process for Puneeth Iyengar, M.D., Ph.D., Assistant Professor of Radiation Oncology at UT Southwestern Medical Center. He began testing theories in school science fairs as an adolescent growing up in Louisiana. Studying at MIT furthered his interest in the biologic and engineering aspects of medicine, and he earned a bachelor of science degree in biology before receiving his M.D./Ph.D. degrees from Albert Einstein College of Medicine in New York in 2005. With medical school came a better understanding of cancer biology that led Dr. Iyengar to pursue an internship and residency at MD Anderson Cancer Center in Houston, where he honed his clinical skills. As a key member of the radiation oncology team at UT Southwestern, Dr. Iyengar has two main roles: He is an expert in treating lung cancer patients with radiation. He also leads a research lab with two missions – discovering how lung tumors become therapeutically resistant, and understanding the basic mechanisms of cancer cachexia, a wasting process of the body that’s associated with certain types of tumors, primarily lung and gastrointestinal tumors. Among Dr. Iyengar’s many recognitions, he received the 2016 ARRO Educator of the Year Teaching Award, a 2015 American Cancer Society Research Scholar Grant Award, a 2013 Sidney Kimmel Cancer Foundation Translational Research Award, a 2012 Distinguished Researcher Award from the UT Southwestern President’s Research Council, a 2011 Young Investigator Research Grant from the National Lung Cancer Partnership, a 2011 Lung Cancer Research Foundation grant, and the Roentgen Research Award from the Radiological Society of North America Research and Education Foundation in 2010. He was part of the National Institutes of Health Medical Scientist Training Program in 2005, and, in 2001, he received the Eastern Cooperative Oncology Group Young Investigator Award. Dr. Iyengar’s research has been published in many major journals, including Lancet Oncology, JAMA Oncology, the Journal of Clinical Oncology, Nature Medicine, the Journal of Clinical Investigation, among others. As a physician and research scientist, Puneeth Iyengar, M.D., Ph.D., brings unique skills to his patients and his position as Assistant Professor of Radiation Oncology at UT Southwestern Medical Center. He’s able to use what he learns from his lung cancer patients to test theories in his lab, as well as translate discoveries from his lab into better treatments for his patients. The ability to traverse both areas makes him a better caregiver and researcher, he says. "We offer patients state-of-the-art technology in radiation therapy and the highest level of expertise solely for lung cancer patients." 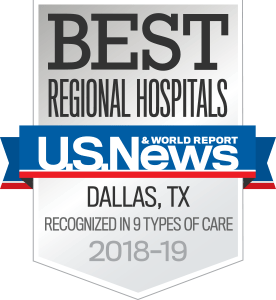 Lung cancer patients at UT Southwestern have access to some of the most effective techniques in radiation treatment and the country’s top clinicians. Dr. Iyengar and three other radiation oncologists at UT Southwestern focus solely on the treatment of lung cancer and are experts in stereotactic ablative radiation therapy (SABR), a form of radiation treatment for lung cancer that’s becoming more of a first-line, curative treatment. This type of noninvasive treatment involves high-dose radiation beams entering the body through various angles and intersecting at the desired target. This allows for a concentrated dose to reach the tumor while limiting the dose to surrounding healthy tissue. Dr. Iyengar and his colleagues are using SABR, also known as stereotactic body radiation therapy, to reduce the number of treatments for lung cancer patients while safely increasing the dosage of radiation given during each treatment. Additionally, Dr. Iyengar has been center stage of national efforts to use SABR in the management of metastatic NSCLC, a new evolving treatment paradigm meant to improve overall survival. In the laboratory, Dr. Iyengar runs a research program studying the wasting syndrome known as cancer cachexia. This syndrome, leading to losses of adipose and muscle mass with eventual weight loss, is observed in over 50 percent of all solid tumor patients and responsible for 30 percent of all cancer-related deaths. Dr. Iyengar’s group is attempting to understand how to block cachexia development in improving the survival and quality of life of his lung cancer patients. Being on the forefront of treatment technology and seeing how he can make a difference in the lives of lung cancer patients drew Dr. Iyengar to UT Southwestern. The challenges of the disease, the need to understand it, and the rapport he develops with his patients keep him here, along with a world-class team of health care providers focused on the same goal. Ribosome-initiator tRNA complex as an intermediate in translation initiation in Escherichia coli revealed by use of mutant initiator tRNAs and specialized ribosomes. Constitutive and growth factor-regulated phosphorylation of caveolin-1 occurs at the same site (Tyr-14) in vivo: identification of a c-Src/Cav-1/Grb7 signaling cassette. Adiponectin/Acrp30, an adipocyte-specific secretory factor: physiological relevance during development. Combined loss of INK4a and caveolin-1 synergistically enhances cell proliferation and oncogene-induced tumorigenesis: role of INK4a/CAV-1 in mammary epithelial cell hyperplasia. Role of caveolin-1 in the modulation of lipolysis and lipid droplet formation. Outcome of patients with diffuse large B-cell lymphoma of the testis by era of treatment: the M. D. Anderson Cancer Center experience. Clinically apparent internal mammary nodal metastasis in patients with advanced breast cancer: incidence and local control. Marginal zone lymphomas: factors that affect the final outcome. Radiation for Hodgkin's lymphoma in young female patients: a new technique to avoid the breasts and decrease the dose to the heart. Design of a smart biomarker for bioremediation: a machine learning approach. Summary of presentations from the 11th targeted therapies for lung cancer meeting: radiation oncology. Can preoperative axillary US help exclude N2 and N3 metastatic breast cancer? Isolated central nervous system progression on Crizotinib: an Achilles heel of non-small cell lung cancer with EML4-ALK translocation? Design of an expert system for mitigating trace element toxicity in cancer risk management. Histone modifications and DNA double-strand break repair after exposure to ionizing radiations. Localization accuracy and immobilization effectiveness of a stereotactic body frame for a variety of treatment sites. Stereotactic Ablative Radiotherapy (SABR) for Non-Small Cell Lung Cancer. The Role of Inflammatory Pathways in Cancer Associated Cachexia and Radiation Resistance. Locally advanced lung cancer: an optimal setting for vaccines and other immunotherapies. Optic Neuropathy and Blindness Associated With Crizotinib for Non-Small-Cell Lung Cancer With EML4-ALK Translocation. Neutrophil-lymphocyte and platelet-lymphocyte ratios as prognostic factors following stereotactic radiation therapy for early-stage non-small cell lung cancer. Phase II Trial of Stereotactic Body Radiation Therapy Combined With Erlotinib for Patients With Limited but Progressive Metastatic Non-Small-Cell Lung Cancer. Employment After Radiation Oncology Residency: A Survey of the Class of 2014. SABR for aggressive local therapy of metastatic cancer: A new paradigm for metastatic non-small cell lung cancer. Precision Hypofractionated Radiation Therapy in Poor Performing Patients With Non-Small Cell Lung Cancer: Phase 1 Dose Escalation Trial. Local Therapy for Limited Metastatic Non-Small Cell Lung Cancer: What Are the Options and Is There a Benefit? Obesity: Slim without the gym - the magic of chilling out. Q&A by Puneeth Iyengar, M.D., Ph.D.